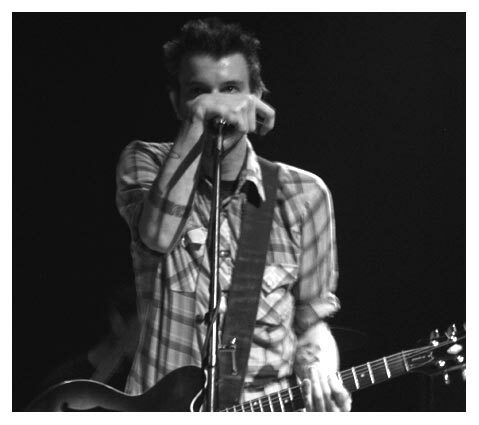 Ben Nichols can usually be found howling with boozy swagger as frontman for the alt country rockers of Lucero. While the group's bluesy and rambling Women & Work stacks up against the year's heavyweight records so far, Nichols' best work lasts for seven songs and 27 minutes, sans the energy of his backing band. No rollicking drum fills. No raucous jukebox brass bands jumping into tracks. No jaunty barroom piano chords. Just an acoustic guitar, the occasional harmonica and a wide-open landscape of heartbreak. The Last Pale Light in the West was Nichols' only solo effort, but it has the calling cards of some of the singer's idols. The soaring acoustic melody of "Chambers," paired with Nichols' gruff, alcohol-stained vocals, is straight off the Boss's Nebraska. "Tobin" could have been written by Ryan Adams, if the alt-country rocker spent his nights scrawling lyrics on cocktail napkins during last call. "Toadvine" sounds like the Tom Waits who fumbled with the blues on The Heart of Saturday Night met the cigarette-wrecked voice of the Tom Waits who wrote Heartattack and Vine just six years later. 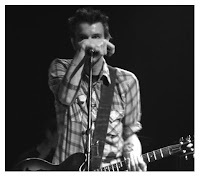 What Lucero did for Tennessee over the course of an album, gravelly voiced troubadour Ben Nichols did to capture the lawless old west in just a snapshot of songs. As cerebral as it is sparse in instrumentation, (the album is based on the Cormac McCarthy novel "Blood Meridian") The Last Pale Light in the West shines as brightly as it did when it was first released in 2009.